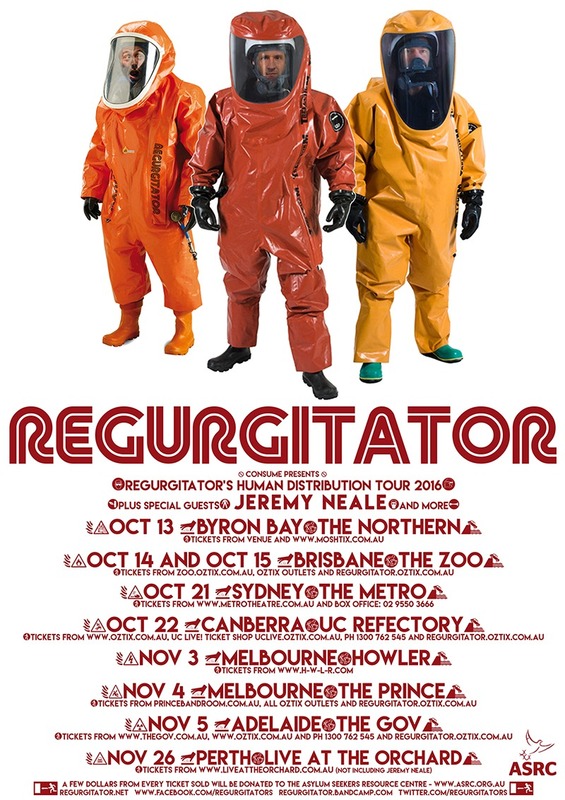 REGURGITATOR – human distribution tour 2016! And further flocking madness to this human flight, joining us and national guest JEREMY NEALE, are the following local descendants… as usual plenty of diversity and please get there early to support your local artists. So let’s get serious here… decontaminate the earth of all the superfluous crap floating around. Time to lift the productivity outcomes, use this window of opportunity to drive momentum, tick all the boxes and raise those much celebrated efficiency stats. Screw the hazards of econobabble… take us on a human distribution tour. The year thus far has revealed two decent moments in the ever expanding oeuvre that is Regurgitator: the recent Melbourne Community Cup for the more than excellent Reclink charity that saw the likes of Waleed Aly, Dan Sultan and Tim Rogers join them onstage for some impromptu action; and earlier in the year their Chinese tinged version of the debut Velvet Underground album where they were joined by the erstwhile Seja Vogel on keyboards and her Germanic vocal tones, along with Mindy Meng Wang and her Guzheng for the Andy Warhol / Ai Weiwei Friday Nights at NGV series. 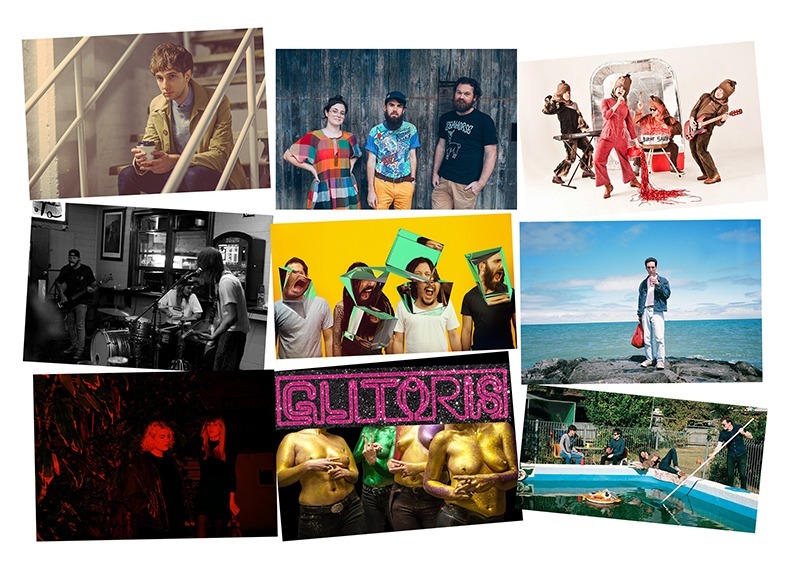 For the second half of the year on top of the recent Perth LIVE AT THE ORCHARD announcement we now pronounce a short run of mainly metropolitan shows. Oh how fancy… plunder the wealth of the many for the sake of the few! Stay alert for more incoming!